Samsung release a new edition of series 3 laptop to the public, and we managed to get hands on this new laptop which target low range users with a 15.3" display and dual core processors. 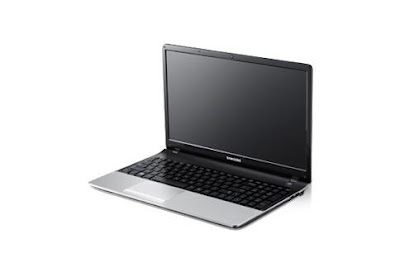 On this post we will bring you the latest Samsung NP300 working drivers for Windows 7, so in case you have some problems or missed driver for your Samsung NP300, here you'll find what you need. If you have any other missed driver or problem, please let me know on the comment bellow and I will try my best to help you all. Hello manmohan, what you mean with "not connect" is the driver installed, check on the device manager, if not installed please provide the hardware ID of your wifi adapter and we will provide you with working driver. I think it is a perfect time for Samsung to come up with their laptop series as it has gained a enough trust of its customers by its Android phones and and i-Pads..!! I have problem with bluetooth driver..it can't either find or be found by other devices..what to do?????? What's the cause of the weakness pick up a wireless network in your Samsung np3005z (so bad) why!!!!!!!!! Cant understand what you mean ! the wireless signal is weak after driver install or what ? if so try to install the latest version of driver, you can provide me with HWID and I'll bring you the latest driver. My bluetooth doesn't find devices or be found by them. I need a help please!!! Please I use window 7 32 bits. When i finish to install, it ask for connecting device... I don't Know why!!! I need a help please!!! webcam not working after reinstalling windows? unable to find ...do ineed driver? check the device manager, if there is any device not installed please provide us with the hardwareID. and its on windows 7 Professional, 64bit. Thank you Maher for the drivers. But I still have just a bit of a problem. How do i go about the installing or use of the drivers I just downloaded? I'm a bit of not so good with these drivers issue. Kindly please give me a layout on how to go about the drivers. its easy, just extract then click on the .exe file inside. Do you get Realtek High Definition Audio on the sound video and game in the device manager ? if yes try a headphone on the jack, it seems a hardware problem. if no please provide me with the hardware ID of your audio device. Hello Abhishek, Please provide me with the hardware ID of your sound, bluetooth device from the device manager.